If you haven't tried Lola pull on slimming jeans, you are SERIOUSLY missing out! When I think of denim in fashion, I think of the all American style. A trouser created for the lower working class for durability and wear in labor intensive jobs, clothed many men while building the foundation of our cities, agriculture, etc. Now the pant has become a staple in the closets of men and women all over the world. Comfortable as maternity jeans without looking like you have a belly band and great for all ages with stylish seasonal washes, my Lola Jeans have me feeling like the all American gal. 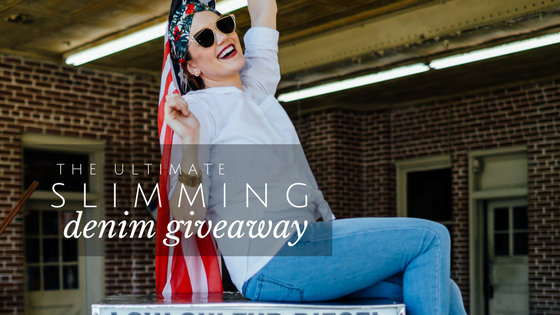 Learn more about my favorite line of denim and enter to win your very own pair in this post!